Legendary Indian skipper Mahendra Singh Dhoni couldn’t have scripted a better tour of Australia. Two match-winning knocks, fair glimpses of his destructive old self, and the much-deserved Man of The Series award saw the phenomenal finisher of the game, silence his critics entirely. 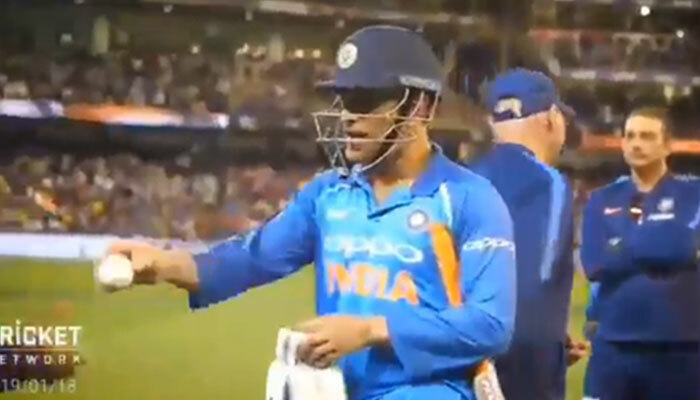 However, apart from all the masterclass with the willow, Dhoni gave us another moment to laugh about, post his series-winning knock of an unbeaten 81 in Melbourne. 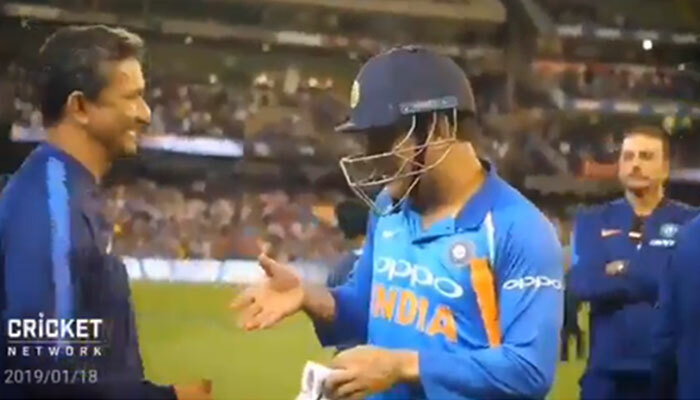 While leaving the ground after the heroics, Dhoni’s hilarious moment with batting coach Sanjay Bangar has caught everyone’s eye. During his customary handshake with Bangar, Dhoni was seen handing over the match-ball to the former cricketer. Though that’s absolutely normal, a dialogue from the Ranchi man gave us a taste of his wacky sense of humour. In case you didn’t get the joke, we are here to help you out. The reference roots back to the India-England ODI series in July last year, where India had to settle for a defeat. Dhoni was caught on camera leaving the field with the ball which led to the media speculating his retirement. The World Cup-winning captain was also slammed for his sluggish run rate.